this is my first post and I am a bit desperate: I gota beautiful MISSGEICOfrom ProBoat (and yes, I also got a lot of advice on how to modify it)... but no idea where to take it out here in Dubai. RE: Where to race rc boats in Dubai? I do know that there are some gas boat racers in Dubai but I'd have to find out where they race. Whether or not they run nitro boats, I don't know. These guys have got some serious money into them. Is that salt water your boat is in ? yes, but no issues with that. after racing I go and clean boat and flush pipes and lines, done. That's an awsome pic of your boat on the water. It almost looks photoshopped with how much it stands out. Come to America brother we GOTSLAKES. Dont let those niggas stone you to death for running your rc at local lake. This looks like a cool place to run your boat in Dubai! just wondering if anyone knows where to race RC boats in UAE and if anyone is interested in starting up a RC boat Club here in DUBAI? 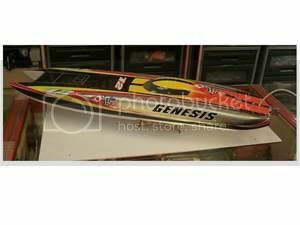 I live in Dubai and I just got a TFL hobby genisis boat so if anyone wants to run or set up a weekly thing just responsed and we can get a club togather for Dubai! just wondering if ur still running your boat somewhere in dubai or surroundings . Im also out here in Dubai (aka the Sandpit) and was wondering if you managed to find an RC boat club? hey, nop no answer at all . welcome in the sandpit , you have boats or cars? A friend and I were out in one of the malls and found the joysway boats so we bought 4 to use in the pool with friends and like anything else it all snowballed from there. What about yourself? i am not into boats here in Dubai ,did not found and boating buddy's yet ! mostly RC monster trucks and fast electric truggys ,also multicopter and just started with FPV. U fly your chopper in nad al sheba?